Toyota Refrigerated Van Conversions - Approved by Toyota GB PLC. Toyota are well known for their superb 4×4 commercial pick-up trucks but they’re quietly making great strides with their Toyota Proace which is available in a range of body styles and lengths and makes it perfect for a variety of applications… and we at The Cold Consortium are proud to be am Authorised Refrigerated Conversion Partner for Toyota and their Dealer Network. 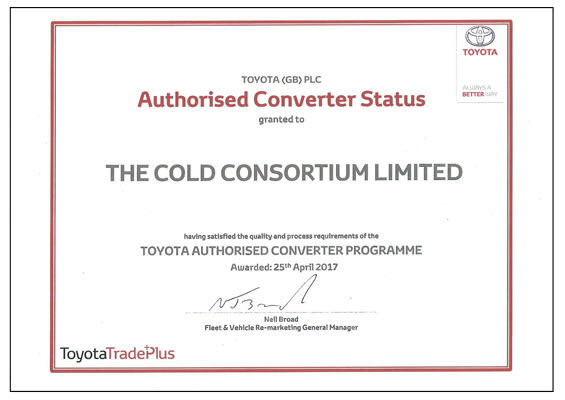 The Toyota Authorised Converter Programme is the recognition required to become “fully approved” and we at The Cold Consortium have been fully accredited by Toyota GB PLC to convert their Toyota Proace for them, their dealers and their customers across the UK… making us a preferred conversion partner for fridge, freezer, hygienic or pharma conversions for Toyota vans. The Finest Toyota Proace Chilled Van Conversions Available For Less Than You Might Think! 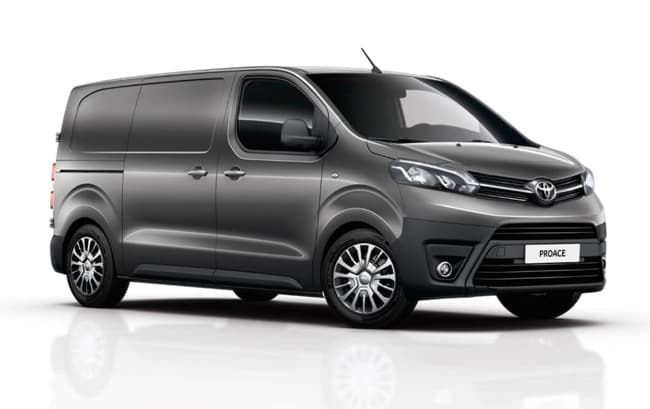 The Toyota Proace is a very flexible van with a variety of engine sizes, lengths and body types which is why Toyota say it’s “designed to be every van you need”. The Proace offers a good payload and enjoys a wide range of options which is probably why it’s starting to build a great reputation and a real name for itself.